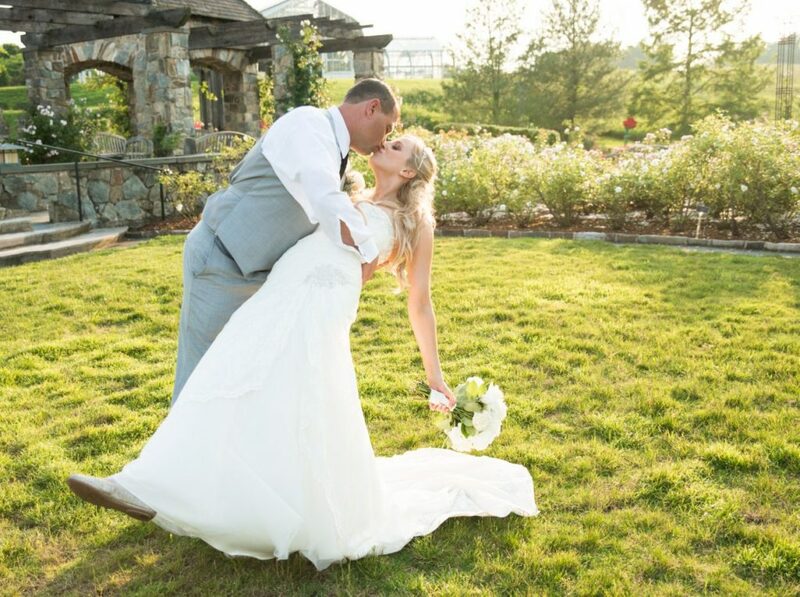 All wedding photography sessions must be scheduled in advance and paid in full at the time of booking through the Facility Rental Department at (804) 262-9887, x345 or x224. 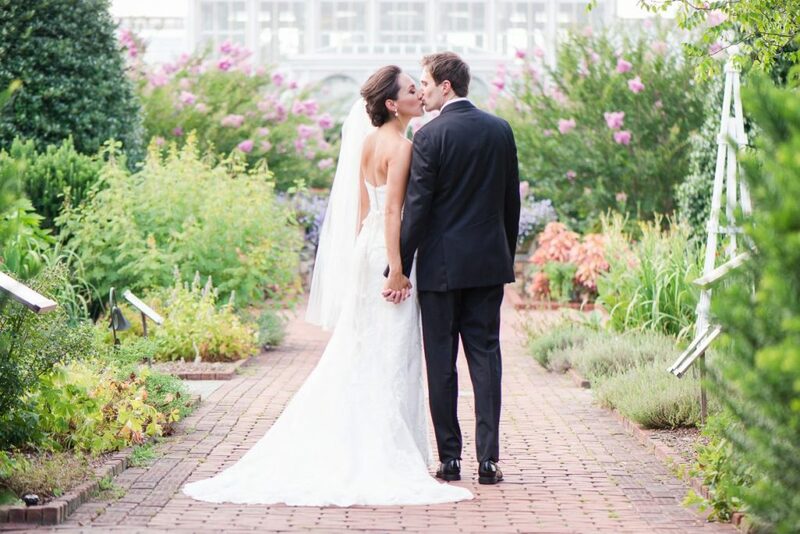 The Garden would like to ensure you have a wonderful experience while capturing your special memories with us so we do require that all wedding photography sessions, both personal and promotional, be scheduled in advance and paid in full at the time of booking through the Facility Events Department at (804) 262-9887, ext. 345 or 224. These sessions include any bridal, engagement and family photography. Photo sessions are scheduled Monday – Friday from 9 a.m. – 3:30 p.m. These sessions include complimentary admission for up to six guests; all others must pay regular Garden admission. You will be responsible for bringing in your own photographer as we do not provide photographers but their admission is included within the six complimentary guests that are part of your reservation. Unfortunately, we are not able to accommodate photo sessions during the weekends as these are the days in which the Garden is most heavily visited and we cannot ensure Garden spaces will be easily accessible. Wedding photography sessions are also permitted during Flowers After 5 (our seasonal evening event) with the last session scheduled by 7 p.m. The Blomendaal House and Grace Arents Garden are not available to take photos in during this event. Any clients who have rented the Garden for both their ceremony and reception do receive one complimentary 1½ hour photography session under the same guidelines. We encourage you to take photos with our beautiful Garden spaces as your backdrop in any available outdoor Garden space. 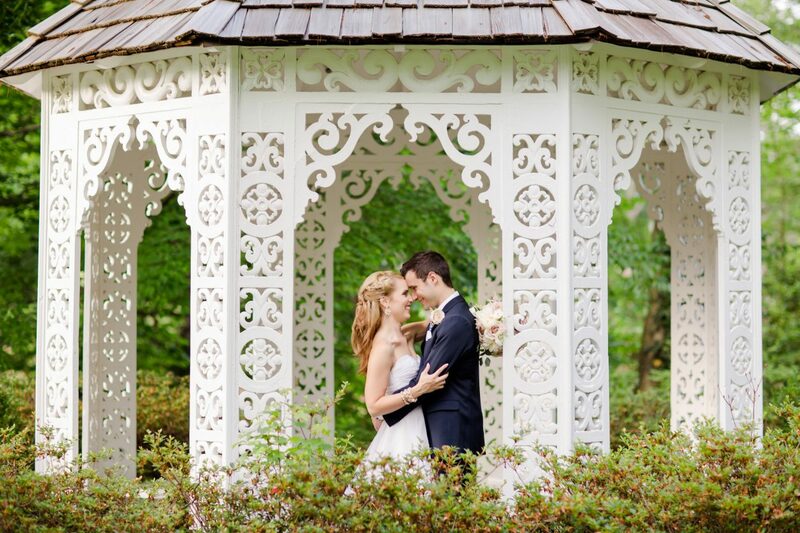 Please be mindful that we are unable to reserve any specific Garden areas for wedding photo sessions. We also do not allow photo sessions to occur in any building interior spaces including the Conservatory. We ask that photographers and clients be courteous to Garden guests and their enjoyment of the Garden at all times. We do not allow the obstruction of Garden pathways, guest common areas, building entrances and exits and areas being used for private or Garden-wide events. The intrusion on exhibits is also prohibited. In order to protect our plant displays we do not allow photographers, clients, or equipment in any of our plant beds while taking photographs. Garden staff members are not available to accompany groups during these sessions but we do encourage you to pick up Garden maps at the Admissions Desk, located in the Robins Visitors Center, to familiarize yourself with our Garden spaces. Changing Area – By request when making your reservation and based on availability, a restroom can be designated for a dressing area during the reserved photo session time only. Designated restroom locations are determined by the Garden. You must check in at the Admissions Desk in the Robins Visitors Center on the day of your reservation for location details. Late Arrivals – No adjustments to session times or designated restroom times will be made due to late arrivals the day of the reservation. Garden hours of operation are 9 a.m. – 5 p.m. and strictly enforced. There are no refunds for late arrivals. Inclement Weather – A photography session may be rescheduled due to inclement weather through the Facility Events Coordinators under the terms above. There are no refunds for wedding photography sessions (to include non-rescheduled shoots or no-shows).